Welcome to the Digital SLR Guide's 2010 Holiday Gift Guide. This month's issue of the newsletter is going to be devoted solely to gear. Whether your are purchasing something as an end-of-year treat for yourself or looking for a great present for a deserving photographer in your family, there should be something in this issue that sparks some ideas about what to get. And no, you don't have to be filthy rich. The gear that I will present in this gift guide will run the range from some relatively expensive digital SLR cameras (about $1,500 USD) to photo accessories that will run you less than $50 USD. I did quite a bit of research to find each one of the items listed below, so hopefully the time that I spent will make things go faster for you. To kick things off, I'll present my research technique - just in case you are one of those people who likes to find things on your own. I use a variety of different web sites to find good photography gear and the site that I start with depends a lot on what type of gear I'm looking for. If I'm looking for DSLR cameras, I typically start on on Amazon.com. I've found that Amazon carries every DSLR model currently available, and if someone is going to review a camera, they're most likely to post the review on Amazon. This means that if you're looking at a DSLR that has just been released, there are probably still at least 20 reviews to help you decide if the DSLR is right for you. If I'm not looking for a camera but am seeking lenses, flash or other photographic accessories I turn to Adorama and B&H Photo Video. Both of these are online retailers of photo gear, but they also provide a wide range of advice about how to choose the right gear for your needs. If I am looking for a new piece of equipment that I know relatively nothing about, I start with the reviews on Shutterbug.com. The information on this site often helps me refine what would otherwise be a pretty broad search for a photographic product. Once I've narrowed down my list of options, then I go to some more niche sites to make sure I'm making the right choice. For in-depth lens reviews I look at fredmiranda.com and for camera and lens reviews I'll also check out dpreview.com and cameralabs.com. If I'm looking for an accessory that's more obscure - like some special reflector for flash photography - then I will simply enter the name of the product into a Google or Yahoo search to see what comes up. I will also often search for the product on Amazon, Adorama and B&H to see if there are any glowing or negative reviews. So there you have it: a quick intro to the process that I use to find new cameras and new camera gear. Let's start talking about some actual products, shall we? If you're looking at cameras in this category, you've either got a very deserving relative/friend OR you've been especially good this year. The expensive digital SLRs all have one thing in common: they're not designed with beginning photographers in mind. These cameras are often the ones that people move to after they've had some practice with the lesser models. Someone who was really familiar with film SLRs could also pick up one of these cameras and quickly use it to its fullest potential. Now, if you - or the person you're gifting to - is a mere beginner with a love of AUTO mode, then skip right on past these cameras. If you leave these cameras in AUTO, you're just missing out on a TON of features that you are paying a premium for. 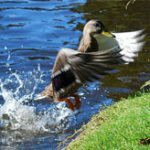 Don't worry too much about reduced speed or performance in less expensive cameras: ANY digital SLR will capture photos MUCH faster than a compact camera, so if compact speed is what you're used to, don't worry. Even the basic DSLR models will be significantly faster. 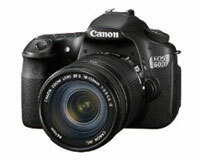 Canon 60D — able to capture 18 megapixel photos at 5.3 per second, the 60D also has a Full HD 1080p movie mode and a 3 inch LCD screen that flips out from the camera body and rotates for high and low-angle shots. Nikon D7000 — like the 60D the D7000 has a 1080p movie mode, but it lacks the flexible viewfinder. It makes up for this by exceptional low-light performance from a 39-point autofocus and an ISO that can be set at 25600. Olympus E-5 — the E-5 has a flexible LCD like the Canon 60D and can capture 12.3 megapixel photos at a rate of 7 per second and 720p HD video. 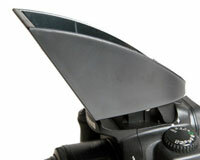 It is also fully weather-sealed which protects the interior of the camera from dust and moisture. Pentax K-5 — when you add built-in image stabilization to an ISO that can go up to 51200, you have a camera that can practically see in the dark. Add on the Full HD 1080p video mode and 7 photo-per-second speed, and compatibility with virtually every Pentax lens ever made. The moderately expensive cameras aren't quite as feature-rich as their more expensive siblings, but they still have a LOT to offer. Don't think that just because you're spending less you're going to miss out on some must-have feature. The cameras in this price range often share ALL of the features of the more expensive cameras - they just don't offer the same level of customization and fine-tuning. These cameras will get the most use from people who have some prior experience with DSLR cameras, but can also be used by beginners looking to "grow into" their new DSLR. You can use any one of these cameras in AUTO mode and get great results, and slowly try out some of the manual controls to see how they work. Canon Rebel T2i 550D — As an alternative to the 60D, the 550D still has a Full HD 1080p video mode but lacks the flexible LCD screen. It also can't match the consecutive shot speed of the 60D, but makes up for this in reduced size and weight. 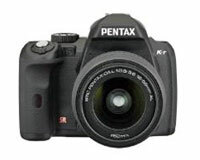 Pentax K-r — You get a lot of camera for the price of the K-r: 6 photos per second, HD 720p movies, built-in image stabilization, ISO up to 25600 and compatibility with tons of new and old Pentax lenses. Sony SLT-A55 — The SLT-A55 includes a translucent mirror - this replaces the optical viewfinder with an electronic one, but significantly speeds up autofocus during still image and video capture. It also lets the camera grab stills at 10 per second. The A-55 has a 3 inch flexible LCD that flips out from the camera body. Sony SLT-A33 — The less expensive cousin of the A55, this camera has less megapixels and captures photos at a slightly slower speed. Otherwise, all of the other features are the same. 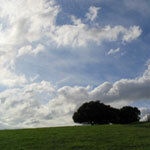 The inexpensive digital SLRs are great "starter" cameras. They are good for beginning DSLR photographers, and they also work well for anyone who's not 100% sure a DSLR is the right camera choice. The lenses used by these cameras will work on any one of the more expensive models, so upgrading the camera body at a later date is definitely an option. The reason that these cameras are less expensive is because they are BASIC. They don't have all the flair and features of the more expensive models, and they don't perform QUITE as fast (but still faster than compacts). Nikon D3100 — The basic D3100 doesn't sound all that basic: 14.2 megapixels, Full HD 1080p video mode, ISO from 100 to 12800 and the ability to capture 3 photos per second. 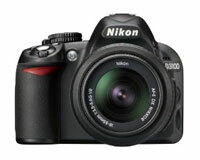 The D3100 is also very small and light relative to other DSLR cameras. Sony A390 — Basic is the name of the game with the A390 and it's a good option if you want to pay less and don't want a video mode. Featuring 14.2 megapixels and a 3 inch flexible LCD, the A390 is still a big step up from a compact. Sony A390 — Even more basic, the A290 has a fixed LCD screen, which knocks a little off the price tag. With the exception of the LCD the A290 is quite similar to the A390 in all other areas. Let's say that you're looking for a mid-range gift for someone who's already the happy owner of a DSLR camera. What now? If that person received a DSLR camera kit - which is quite often the case - then he/she is also the proud owner of a lens with a relatively standard focal length: 18-55mm. Now, this is a great lens for landscape and portrait photography, but it won't do you a lot of good if you're REALLY far away from your subject. In order to get closeups of subjects that are far away, you need a lens with a longer focal length: something that tops out around 200 or 300mm is great. Another name for lenses like this is "telephoto". With that in mind, what follows is a list of relatively inexpensive telephoto lens options for each brand of DSLR camera. Just be aware of one thing: lenses are expensive and the ones that I've listed below are the LEAST expensive ones that still provide decent quality. If you're shocked by the prices, then scroll down to the accessories section. NOTE: lens notation can be a bit confusing to read if you're not used to it. Here's a quick breakdown of the numbers and what they mean. If we are looking at a Nikon 18-200mm f/3.5-5.6 lens the numbers in millimeters represent the focal length of the lens — its capacity to zoom in on a faraway subject. The larger the number, the greater the amount of zoom. In the case of this lens, it can zoom from a wide 18mm setting up to 200mm (hence, 18-200mm). The second set of numbers describe the maximum aperture of the lens — how wide it can open and how much light it lets in. The SMALLER the number the WIDER the max aperture. Since this lens lists two numbers it has a VARIABLE maximum aperture. At 18mm the max aperture is f/3.5 but at 200mm the max aperture narrows to f/5.6 (hence f/3.5-5.6). Nikon Nikon AF-S lenses have their own built-in autofocus motors. This means that they can autofocus when attached to camera bodies that lack autofocus motors like the Nikon D40, D60, D3000, D5000 and D3100. Olympus Since Olympus cameras have built-in image stabilization, you won't find that feature on any of their lenses. Pentax Like Olympus, Pentax cameras have built-in image stabilization. Sony Like Olympus and Pentax, Sony cameras have built-in image stabilization so it's not included in any lenses. Whew! You still with me? We now come to the section that's ideally suited for those people who aren't willing to spend hundreds on a holiday gift (with some exceptions that I'll start off with). Let's get right to it. OK, so external flashes aren't the LEAST expensive accessory you can get — but they definitely are useful. 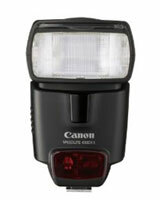 An external flash provides you (or your gift recipient) with MUCH more control over flash pictures. External flashes can be angled so that the light doesn't always blast the subject head-on. The amount of light put out by an external flash can also be controlled in step-by-step increments. Best of all, external flashes are more powerful than their tiny built-in counterparts, and are able to light much larger areas (or small subjects from really far away). When it comes to flash, get a flash made by the same company that made the camera. If you want to use the flash in full AUTO mode (a good starting point with external flash) it's easiest to do when the manufacturer of the camera and the flash are the same. The flashes that I list below don't have all the features of the more expensive models, but they also don't cost a ton of money. Simply put, with these models you get a lot of flash for what you pay for. Camera Bags After someone has spent several hundred dollars on camera gear, it makes sense to keep that gear together and to protect it at the same time. Now, if you just have a single camera and lens getting a bag for all your "gear" really is not essential. But if you've been using a DSLR camera for awhile you have probably acquired at least one additional item: an extra lens, a flash, extra battery, memory cards, etc. 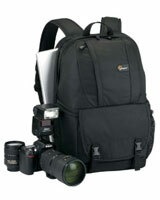 Here are just two bag options to consider: the Lowepro Fastpack 250 ($90 USD) and the Adorama Slinger Bag ($60 USD). The Adorama Slinger bag goes across the shoulder and can hold quite a bit of gear: camera plus lens, flash and additional accessories. It's quite comfortable to wear and the top flap provides easy access to the contents inside. The one thing that the Adorama bag lacks is a spot for a laptop computer. If you like to travel and take pictures, then it's a good idea to download images from the memory card to a laptop occasionally just to be sure you don't lose photos if the memory card goes bad. For this, the Lowepro Fastpack 250 is a great alternative. It has a special compartment just for a laptop that rests against your back, and also has plenty of space inside for all kinds of gear. What's nice about the Fastpack 250 is that you can get to your camera without having to take the backpack off. You can just remove one arm from the strap, swing the bag around and then unzip a part of the bag to get at your camera. Now, most tripods are quite large, bulky and heavy to carry around at all times. You have to be a dedicated photographer - or a professional - to use a tripod on a regular basis. However, there are certain times in very dim light where a tripod will make the difference between a clear shot and a blurry mess. While image stabilization helps in these situations, it's not foolproof. If you want nice clear shots in dark places, a tripod is a must-have accessory. But what if you're not keen on lugging one around with you at all times in the off chance that you might need it? The solution: a Joby Gorillapod SLR ($32 USD). 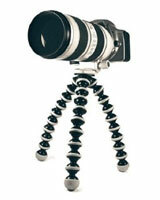 The Gorillapod SLR is a flexible three-legged tripod that's not terribly large and doesn't weigh all that much. The key word in the previous sentence is "flexible". A Gorillapod has special legs that can be wrapped around a variety of different objects like railings, banisters, light poles, etc. Once the Gorillapod SLR is secure, you attach your camera to it and fire away. I mentioned above that an external flash unit is a great way to make any flash picture look better. However, if you're not quite ready to drop that much cash on a big flash unit, there are some ways - for relatively little coin - that you can modify the flash that's built into the top of a DSLR camera. There are two main ways that you can change the light from a flash to improve its look: diffusion and reflection. When you diffuse the light from a flash, you pass it through a semi-transparent material. This material spreads out the light from the flash and it softens the light which leads to much more appealing portraits. When you reflect light from a flash, you don't point the light straight at your subject. Instead, you bounce the light from the flash off a SECOND surface (like a nearby wall or ceiling) and use that to light your subject. Like with diffusion, it improves the quality of your flash photos. 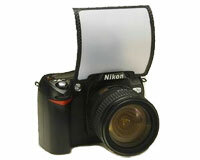 A relatively simple device for built-in flash diffusion is the LumiQuest Soft Screen ($12 USD). This diffuser can be placed on top of most DSLR cameras, and it spreads out the light from the flash and reduces the glare you typically get from head-on flash without a diffuser. If you want to reflect light, check out Professor Kobre's Lightscoop ($30 USD). This device attaches to the hot shoe of your camera and a mirror bounces the light from your flash straight up. By placing the camera close to a wall or ceiling, you BOUNCE the light off a separate surface which reduces contrast and harsh shadows. Memory Cards If you've got any kind of digital camera, then it helps to have extra memory cards. Cards - like computer hard drives - can go bad, and you can lose some pictures if this happens. One way to ensure that your cards stay "healthy" is to format them after you've moved images from card to computer. Formatting clears the card of all information, and makes it a blank slate. This is not the same as just deleting files from the card, which leave residual information that can lead to card failure. The good news is that memory cards are cheap, and you can get a lot of memory for a pretty low price. If you - or the recipient of your gift - is still using Compact Flash (many new DSLR models have moved to SD memory cards for storage) then take a look at SanDisk Extreme or Transcend. For 8GB of storage - which works well if you're not capturing video - you can get a SanDisk for $56 USD and a Transcend for $17 USD. On the SD memory side of the fence, look for SDHC cards (SD High Capacity) which read and write information faster than regular SD cards. 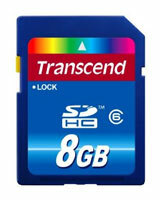 You can find an 8GB SDHC card from Kingston for $16.50 USD and one from Transcend for $14 USD. Now, once you have the memory card, it helps to have a memory card reader: a device that plugs into your computer and allow you to transfer images and video from the card to your computer's hard drive. To cover just about every memory card ever made (including some cards used by cell phones) there's the Kingston 19-in-1 USB 2 ($14 USD) which reads Compact Flash, SD Memory, Memory Stick (Sony), miniSD, microSD, and a slew of others. We're almost to the end here. The last gift idea I'd like to present you with is something that I don't talk about a lot either on the web site or in this newsletter: photo editing software. It's not that I don't use it - I'm constantly manipulating, cropping and enhancing the pictures that I take. It's just that the software changes relatively often (as least compared to camera technology) and I have a hard enough time keeping up with the hardware to provide advice about software. Having said that, the piece of software that I recommend most often - and use myself - is Adobe Elements, now in version 9 ($45 USD after rebate). For less than $50 USD, you get a pretty powerful program that not only helps you edit your photos that are less than spectacular, it also helps you organize your images. The organizer lets you tag photos with keywords (friends, family, locations, events) so that you can easily find them later. 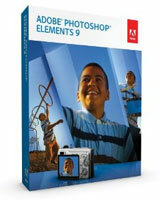 Adobe Elements is also associated with a variety of popular online gallery sites like Flickr and Smugmug. Once you've gotten your pictures looking perfect, you just select the ones you want to upload, select a gallery and press the button. It took me some time to get rolling with this issue, but once I did it kind of wrote itself. I know that there are hundreds of other products and gift ideas that are not mentioned here but you probably don't have time to read about them and I sure don't have time to write them all up. Good luck with your shopping - whether you're buying for yourself or a loved one - and I wish you Happy Holidays!